When you ask "What number is halfway between 5 and 19?" we assume you mean the number in the exact middle of the two numbers on a number line, as illustrated below, where X=5 and Y=19. Thus, the number halfway between 5 and 19 is 12. As you can see, the halfway number is 7 higher than 5 and 7 lower than 19. Therefore, our halfway between answer of 12 above is correct. Find halfway between two other numbers here! 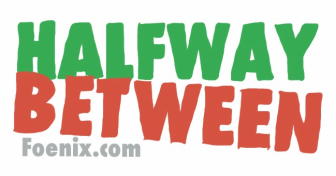 Here is our next Halfway Between calculation.